As the project proceeds, extensive effort will be put into both the physical architecture and simulation and analysis and new software tools will come into play. 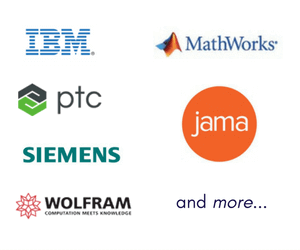 In this part, we build the initial models in SysML and use them to generate models in Teamcenter PLM (Siemens) and Simulink (The MathWorks). These models remain connected for comparison and update as the system evolves. In Figure 1, we have begun to map out the physical design at a high level in SysML and the system functions are allocated to these blocks as this proceeds. At a certain level of maturity, we want to use the SysML block structure to “seed” a PLM bill-of-materials (BOM). The PLM BOM will be used to manage much of the detailed design, but we want the SysML and PLM structures to remain consistent with each other. Syndeia model transform connections can be used for this. 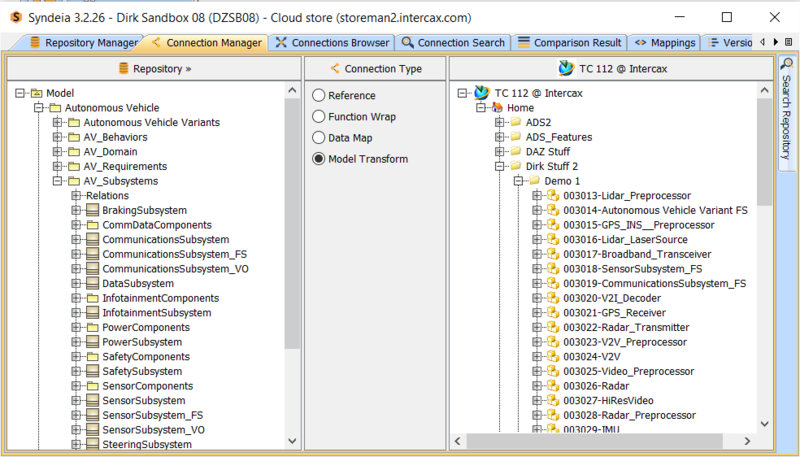 In Figure 2, we show the Syndeia dashboard Connection Manager after the SysML block structure in the left column has been dragged-and-dropped in a single action into the empty Demo 1 product folder in the Teamcenter repository on the right. Each structural element in SysML is linked to its corresponding item in Teamcenter and this can be used to compare and update the two models going forward. Simulation is a critical element of system development and should be started as early as possible in order to optimize early design choices. The challenge is maintaining consistency and traceability between system architecture, simulation models and results files during a period of rapid design evolution. Syndeia helps support this approach. 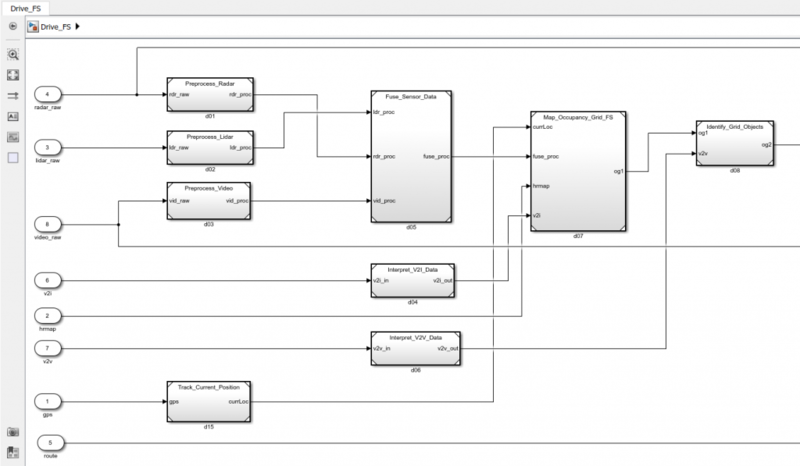 For example, the SysML architectural model containing either activity (functional) or internal block (structural) diagrams can be used to generate the initial simulation models, and the linked models can be compared and updated as the system evolves to maintain consistency. Figure 3 Simulink model transform based on SysML activity diagram from Part 7. 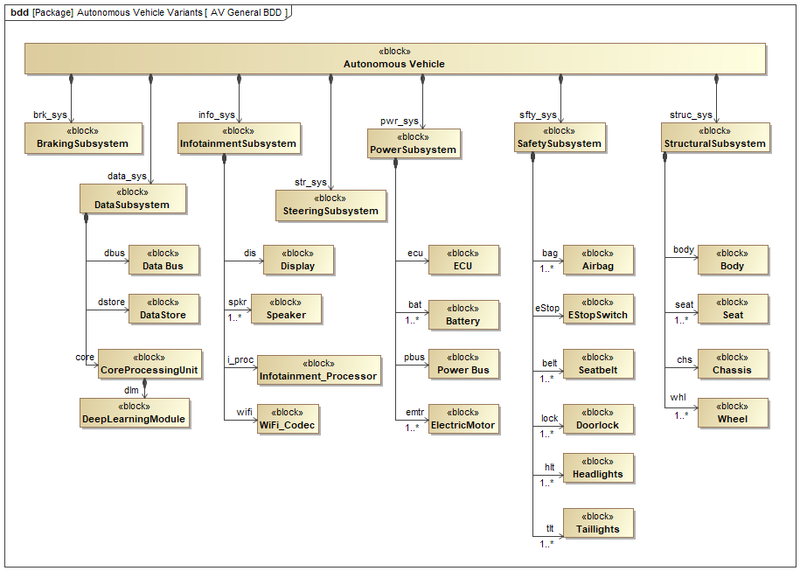 In Part 7 of this series, a portion of a SysML activity diagram representing real-time image processing and vehicle control was shown. Using Syndeia, we can transform that model to create a Simulink block structure (Figure 3) with the same network of blocks, ports and connectors as the SysML original. The Simulink analyst will add code and substructure to make the simulation executable, but Syndeia can continue to monitor (and potentially update) the structures of the two connected models as the project proceeds. In the final part of this series, we will demonstrate how graphs and pattern matching query languages provide efficient access to even very large system models. The SysML models in MagicDraw and IBM Rhapsody will be made available for download with this section. Dr. Dirk Zwemer (dirk.zwemer@intercax.com) is President of Intercax LLC (Atlanta, GA), a supplier of MBE engineering software platforms like Syndeia and ParaMagic. He is an active teacher and consultant in the field and holds Level 4 Model Builder-Advanced certification as an OMG System Modeling Professional.